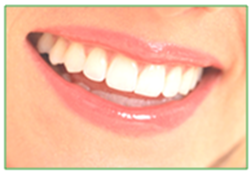 In the past, the importance of regularly maintaining the health of your teeth and gums has been underestimated. As a result, many people risk developing gum disease, also known as Periodontal Disease. And this has grave implications on your oral health. Truth is, healthy teeth depend on healthy gums. The cause of Gum Disease is the build-up of hard plaque and bacterial toxins underneath the gum line. Over time, if not professionally removed, the plaque and bacteria cause damage to the gums and jaw bone that support your teeth. This is a common belief. However your dentists at Bondi Dental corrects this wrong idea. We don’t lose our teeth because we grow old, we lose our teeth because we have advanced periodontal (gum) disease. The plaque and calculus infect the bones, destroying the gums and jaw. In advance periodontal disease, lots of bone mass are lost. As a consequence, teeth will become loose and eventually fall out. Therefore, your regular (6 monthly) visit – Active Dental Maintenance – to your dentist for removal of calculus build-up so as to keep your gums in top condition is vital to your oral and overall health. At Bondi Dental, we believe in helping you keep your whole mouth in great condition and are pleased to invite you to join our Active Maintenance Program (six- monthly dental checkup, examination, scale and clean). Being part of our Active Maintenance Program only requires regular visits to examine your oral condition, monitor the health of your gums, and professionally remove plaque build up and bacteria. To provide you with the best possible care, we have an experienced, gentle, and caring Dental Hygienist as part of our team to thoroughly clean and remove plaque build up, and provide you with expert oral hygiene education. If you have not taken part in our Active Dental Maintenance Program before or have not attended an Active Maintenance Appointment in the past six months, we encourage you to make an appointment with us today. If you require any of the above services, call Bondi Dental now at 02 9365 7187 and our dental professionals will take care of all your dental needs.